Gad Consulting Services is an internationally recognized toxicology consulting practice serving primarily the pharmaceutical, and medical device industries in the areas of preclinical and early clinical evaluation, safety assessment and risk assessment. The practice is primarily focused on technical and regulatory support of new product development and the technical support of existing products. We provide the full range of services in our areas of expertise in an effective, flexible, reliable and timely manner. Dr. Gad has more than 40 years of broad-based experience in toxicology, drug and device development, statistics, and risk assessment. He has specific expertise in neurotoxicology, in vitro methods, inhalation toxicology, immunotoxicology, and genotoxicology. A past president of the American College of Toxicology and the Roundtable of Toxicology Consultants and the recipient of the 2008 ACT Lifetime Achievement Award, Dr. Gad has authored or edited 50 books, 64 independent chapters and more than 350 papers and abstracts in the above fields. He has contributed to and has meaningful personal experience with IND (114 successfully filed to date), NDA, BLA, ANDA, 510(k), IDE, CTD, dietary supplement and PMA preparation. Dr. Gad is fully experienced with the design, conduct, analysis, and reporting of preclinical and clinical safety and pharmacokinetic studies for drugs, devices combination products and dietary supplements, and with regulatory submissions associated with them. Gad Consulting Services holds SAS, DEREK, and Leadscope licenses and capabilities and has successfully provided computational analysis of PK/TK data and qualified impurities, intermediates, residual solvent, and excipient levels in existing and under development drugs for many of its clients, as well as leachables and extractables for device clients. GCS has established and current experience in CAPA safety assessments preparing F-value classifications, and providing both GLP and GMP audits. Additional associated staff specializes in food and cosmetic safety and regulation, quality assurance, data management, analytical, medical writing, environmental and information services support. Referrals are gladly provided for work outside our areas of expertise. Samantha received her B.S. in Chemical Engineering from University of Cincinnati in 2004. She began her career as a production leader in GMP manufacturing facilities. During this time she helped design processing systems, develop operating procedures, troubleshoot formulations issues, validate equipment and start up a new GMP processing plant. Samantha joined Gad Consulting Services (GCS) permanently in 2009. She brings to the company experience in CAPA investigations, analytical testing methods, GMP auditing (domestically and internationally), and expertise in material science. Trained in areas such as: six sigma/quality by design, regulatory affairs, formulation, CMC, toxicology, and pharmacokinetics. 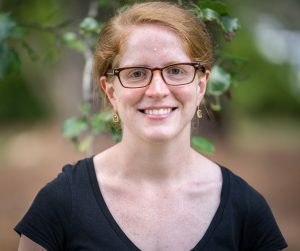 Samantha’s current work includes risk assessments, safety of drug formulation, CAPA investigations and HHE’s, determination of biocompatibility of medical device materials, setting acceptance criteria for degradants, impurities and residual solvents in drugs, pesticides, and e-cig formula and material evaluation. Experienced in QSAR evaluations using knowledge based (DEREK) and statistical based programs (Leadscope, TOPKAT, EPA TEST). Also the preparation, filing and upkeep of Investigational New Drug Applications (INDs), drug master file (DMFs) and other regulatory filings (FDA & international regulatory agencies). Highly skilled in the design, interpretation and evaluation of leachable and extractables for drugs and devices. Samantha also has several publications and is a skilled instructor and auditor. Mr. Sullivan has over ten years of professional experience as a toxicologist. He is currently a regulatory affairs toxicologist at Gad Consulting Services where he serves as a project manager and technical specialist of Gad Consulting Services projects for pharmaceutical, medical device, and pesticide companies. Mr. Sullivan’s current work includes safety evaluations for drug formulations and materials for pharmaceuticals and medical devices including development of 510(k) Premarket Notifications, Informational Brochures (IBs), and Investigational New Drug (IND) applications; qualification works including calculations for Permissible Daily Exposure (PDE), Tolerable Exposure (TE), Tolerable Intake (TI); and F-value assessments to determine unit packaging for pharmaceuticals. Mr. Sullivan also utilizes Quantitative Structure Activity Relationship (QSAR) programs including DEREK, METEOR, EPA TEST, and Leadscope to predict toxic responses and metabolic fates of chemicals. In addition, he has technical experience in performing quantitative safety assessments of pesticide impurities for qualification under FAO guidelines. Prior to being employed at GCS, Mr. Sullivan prepared and assisted in the development of hundreds of human health risk assessments for private companies and regulatory agencies. He has extensive experience in performing hazard identifications, as well as non-cancer and cancer dose-response assessments including risk assessments in support of EPA IRIS, PPRTVs, and Health Effects Support Documents for the EPA Office of Water. Jerry L Bettis, Jr., Ph.D.
Dr. Jerry Bettis is a proven regulatory consultant with expertise in toxicological assessments, from strategy through to implementation, for products regulated by the Food and Drug Administration (FDA), Heath Canada (HC), European Union (EU), and other regulatory agencies. Under the guidance of Dr. Shayne C Gad, he has also been trained to provide Quality Assurance (QA) and Quality Control (QC) audits in accordance with Good Laboratory Practices (GLPs). 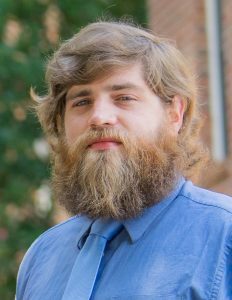 Jerry Bettis is proficient in chemical drawing and Quantitative Structure-Activity Relationship (QSAR) software (e.g., DEREK, Leadscope, and OECD Toolbox). He specializes in the following types of assessments: toxicological, risk, mutagenicity, biocompatibility, impurity, and QSAR. 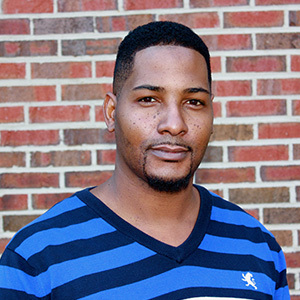 Jerry Bettis holds both a PhD and B.S in Chemistry from North Carolina State University, NC. 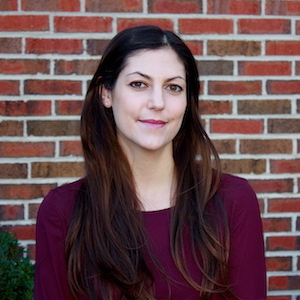 Amy Mihalchik-Burhans received her Ph.D. in Pharmaceutical and Pharmacological Sciences from West Virginia University in 2016. Amy primarily focused on assessing the occupational risk and toxicity associated with engineered nanomaterials to complete her degree requirements through a partnership between WVU and the National Institute for Occupational Safety and Health. Upon completion of her degree, she joined Gad Consulting Services as a regulatory toxicologist specializing in occupational risk assessments and toxicological assessments of a variety of pharmaceutical products and medical devices. She is proficient in calculating Permissible Daily Exposure (PDE), Tolerable Intake (TI), Tolerable Exposure (TE), and F-value unit dose packaging values, and is committed to crafting high-quality literature assessments to support product safety. Amy is also well-versed in assessing (Q)SAR results generated from DEREK and Leadscope software packages to predict potential genotoxicity and target organ toxicities associated with a compound of interest. Dr. Rogers received her Ph.D. in Pharmacology and Toxicology from the University of Louisville in 2011, and has thirteen years of experience in planning, leading, interpreting and conducting multi-disciplinary scientific studies in chemical-induced cancer and genetic epidemiology, human health risk assessment, pharmacology, toxicology, and environmental health science. She is adept at developing and recommending new methods for given research findings, a proficient communicator with the ability to review and evaluate results by preparing comprehensive written and oral summaries on major toxicological studies. Since joining Gad Consulting Services in 2017, Dr. Rogers has added an invaluable level of expertise to our team. In 2017 Sherrie received her Master of Science in Pharmaceutical Sciences with a concentration in drug discovery. 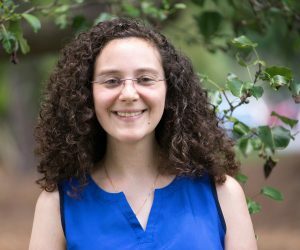 She focused primarily on computational methods for identifying and improving chemicals with potential therapeutic use. 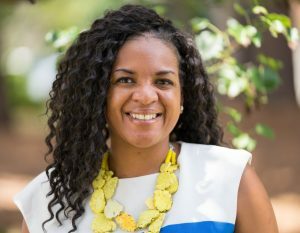 While attaining her degree, Sherrie had the opportunity to gain experience in the field of toxicology by working in the Computational Exposure Division of the EPA’s National Exposure Research Laboratory. While at the EPA, she used computational methods to predict human risk and exposure to compounds. Sherrie joined Gad Consulting Services as a regulatory toxicologist with expertise in QSAR and read across methods and a history of excellent scientific writing. She is proficient in writing different types of assessments for pharmaceuticals and medical devices, such as impurity qualifications, health hazard evaluations, biocompatibility, and extractable/leachables reports. She is skilled at calculating permissible daily exposures (PDEs), tolerable intakes (Tis), tolerable exposures (TEs), and occupational exposure limits (OELs). Sherrie is currently working with Dr. Shayne Gad to gain more experience in the drug development process; specifically, the design, conduct, auditing, and regulatory submission of pre-clinical and clinical studies. 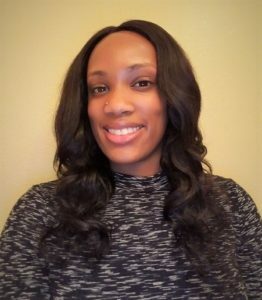 In 2018 Kandice received her Master’s degree focused in Public Health: Epidemiology Specialization from The Ohio State University College of Public Health, and subsequently joined Gad Consulting Services in January of 2019 as a risk assessment and regulatory affairs scientist. Mr. Ballou graduated in 2009 from North Carolina State University with a B.S. in Animal Sciences. 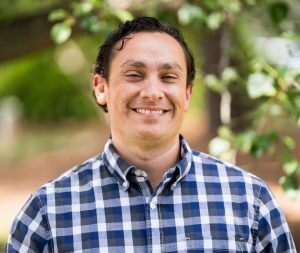 Through a combination of undergraduate research, laboratory technician and management, and medical device development, he has a combined 6 years of experience in animal research. During his employment, his acquired skills in planning and coordination have aided him greatly across many large projects at Gad Consulting. With a focus on business, Mr. Ballou excels in project management, business development, and communication to all clients. 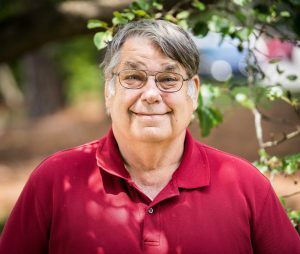 Since entering Gad Consulting in 2013, Mr. Ballou’s responsibilities include calculations of Tolerable Exposure (TE), Tolerable Intake (TI), Permissible Daily Exposure (PDE), and F-values, with a special focus on Health Hazard Evaluations (HHE) and pesticide impurity evaluations. He is trained in using chemical drawing software and Quantitative Structure-Activity Relationship (QSAR) systems including DEREK, Leadscope, and TEST. 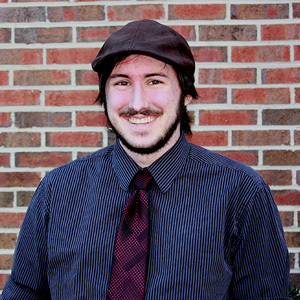 Mr. Ballou also performs IT services for the office and is capable of reviewing and editing large documents.